Nowadays, several companies are realizing the importance of having a well-developed app. Due to this, there is an increasing demand for mobile app development services. Sensing this demand, several smartphone app development companies claim to offer great services. But, Appinventiv is a well-known name that offers highly robust apps at affordable rates. 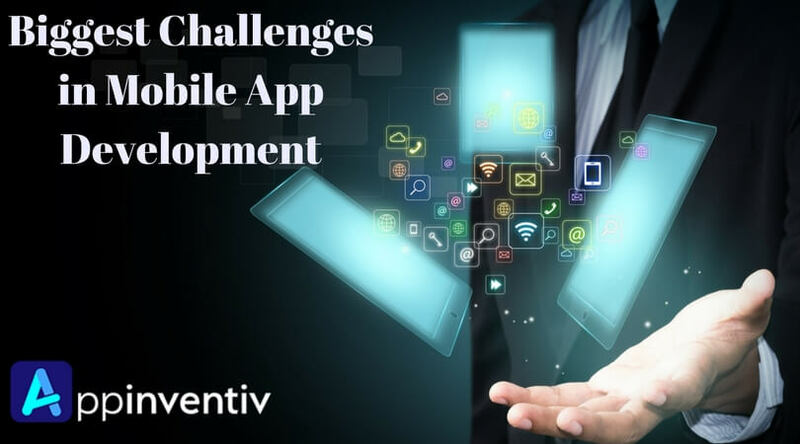 However, like any other software development activity, development of mobile apps has some issues and challenges. Hence, in the growing ecosystem of applications, it is important for developers to know what works best and what doesn’t work. This blog will help you in understanding the major issues faced by developers. There are numerous apps available and developing an app that stand out from the crowd is tough. However, if you want to save your app, there is a need to include intuitive design, usable features and graphics for a wonderful experience. Standard device, single operating system or screen size are not the only things to check while developing apps. This is because users are using devices with varying screen dimensions. In this regard, developers should adopt a responsive design at the time of developing an app. There is no denying that developing interactive mobile application is a great way to attract customers. With built-in sensors, apps can become more useful as well as interactive. This can be very challenging, but to make the process easier, interactions should be there during the design phase. It is important for developers to connect with customers and check their feedback for important modifications. You have to make your end-users feel comfortable and for this, mobile app development should become more accessible. Both these factors are very important in mobile app development process. A good app is the one that consumes less battery without compromising the performance. In this regard, you can create a beta version and get it rigorously tested until it performs smoothly without battery issue. A mobile app should be easy to understand and use. Thus, there should be simple structure and if required, quick tutorials as well as instructions should be there in the app. This will play a vital role in easy understanding of the app. Developers don’t care about marketing the app because of the challenges while taking it to the market. However, you should not forget that a successful app is a combination of 90% marketing and 10% development. You should look for the right tools as well as platforms that can help you in marketing. In conclusion, to survive in this highly competitive market, a lot of attention is required on mobile app development process. In other words, you have to make sure that you are developing superior apps that can bring in huge success.